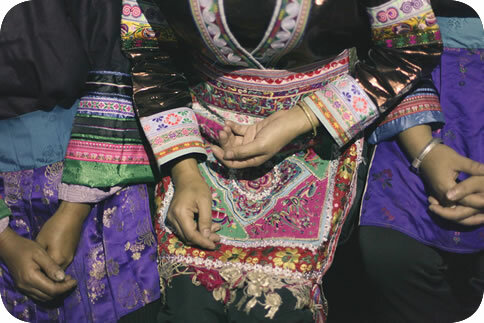 This issue of News and Reviews introduces three films that focus on women whose lives have taken unusual paths, as seen through the lens of their own or the director's trans-national perspectives. Golden Gate Girls (reviewed by Ke Li) and Mrs. Judo (reviewed by Allison Alexy) both trace the lives of remarkable women whose unorthodox career tracks move them between Asia and San Francisco. 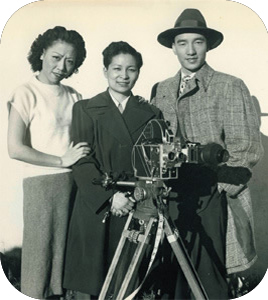 Golden Gate Girls traces the life of Esther Eng, who was born in the US to Chinese immigrant parents, and carved a place for herself in the worlds of filmmaking both in the US and Hong Kong. 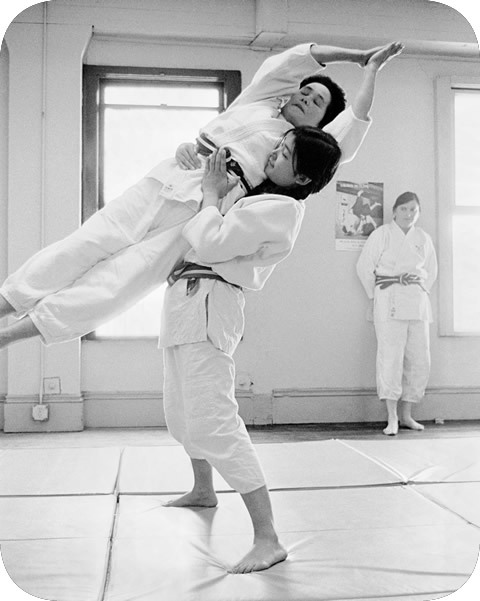 Mrs. Judo follows the career of Keiko Fukuda, one of the earliest female practitioners of judo, as she navigates her way toward a career as a teacher and trainer of the martial art first in Japan and then in the US. In Spilled Water (reviewed by Xiaoqi Yu and Vilma Seeberg) director May May - who has been working in the US - returns to China to follow the stories of four "distant sisters" as they navigate the many changes in contemporary society. All three offer intimate and complex portrayals of women's lives and of the societies that both affect them and are affected by them as they find places for themselves. This issue, we are joined by Duane Johansen, Outreach Coordinator for the University of Illinois' Center for East Asian and Pacific Studies, who brings his experience as an educator to recommendations for classroom use for each of the films. Directed by S. Louisa Wei. Produced by Law Kar. 2013. Taiwan. 90 minutes. On February 9, 2009, filmmaker S. Louisa Wei received a box of six hundred photos which had been discovered in a dumpster near San Francisco airport by a shop owner. Inside the box were photos belonging to Esther Eng (Ch. 伍锦霞), southern China's first woman director. This unexpected discovery led Wei to embark on a journey to unearth Esther Eng's career and life. Wei's efforts ultimately crystallized in the documentary entitled Golden Gate Girls. Born in San Francisco on September 24, 1914, Esther Eng grew up in a Chinese immigrant family. As a child, she was fascinated by Chinese opera and later became a big fan of cinema. Working at the box office of the Mandarin Theater, Esther watched over a thousand movies. There is little doubt that the early exposure to opera and cinema sowed the seeds for her subsequent artistic pursuit. Following Japan's escalating encroachment of China, Esther's father and friends gathered funds to make a patriotic film named Heartaches. At the age of twenty-one, Esther was asked to co-produce the film, her first foray into filmmaking. Heartaches depicts a story between Fang, an up-and-coming opera performer, and Lee, a devoted aviator living in the States. The two meet and soon fall in love. However, Zhong, Fang's stage manager, shows no support for the couple's budding relationship. He keeps warning Fang to stop seeing the young man, only to realize that his attempt is to no avail. Zhong proceeds with relentless efforts to destroy Fang's career. Convinced that Zhong's ploy would distract Lee from his commitment to China's wartime defense, Fang pretends to fall for another man. Apart from that, she finds ways to secretly relieve Lee's financial distress. Directed by Yuriko Gamo Romer. 2012. U.S./Japan. 58 minutes. As the title suggests, the film Mrs. Judo is as much about marriage as it is about judo. The film centers on Keiko Fukuda, a Japanese woman in her 90s, who holds a plethora of accomplishments in the sport. She is the world's highest-ranking female in judo, and the last living disciple of Jigōrō Kanō, the founder of the sport. Despite her age, she still practices and teaches, and we see her carefully leaving a wheelchair to do crunches with other students. As she says repeatedly, judo is her life, the activity she cares the most about, and she has sacrificed much to make it possible. The film demonstrates the depth of her commitment but also suggests the effects of it, including her sadness over the normative lifecourse that became unavailable to her. Ultimately, despite her impressive accomplishments and the filmmaker's delicate storytelling, the film left me sad because it so powerfully represents her sadness over foreclosed options. Directed by May May Tchao. 2014. U.S.A. 54 minutes. Reviewed by Xiaoqi Yu and Vilma Seeberg. Wanting to see for herself the reality of her "distant sisters," documentary director May May returns to China decades after emigrating to the US and tells the stories of four very different Chinese women in Spilled Water: the high-powered lawyer, Li Hua who works in an international firm in Beijing; the factory electrician, Liu Ying, working in a traditionally male job; the rural woman, Pu Ruixia, who against all odds becomes a teacher; and Ou Huaqing, a Dong ethnic minority performing artist. The stories of these four women not only inspire reflection on the lives, changing roles, and social status of women in the context of China's economic transformation, but also illustrate China's intensifying socio-economic disparities across the nation. We learn that socio-economic and cultural circumstances have propelled these women to take on non-traditional roles: Li Hua and Liu Ying are divorced and caring for their daughters; Ou Huaqing is married with a son living in her husband's family home. For all three, their identity as a mother is primary in their own minds and those around her. These women, like most across the world, bear the double burden of child rearing and serving the family while working or pursuing a career. Though their opportunities have increased, their lives are circumscribed by many gendered restrictions, such as access to education and better-paid traditionally male jobs in the modern economy. A film by Uruphong Raksasad. 2009. 121 minutes. In Thai with English subtitles. Post-screening discussion by Prof. Matthew S. Winters, University of Illinois Associate Professor in the Department of Political Science. Directed by Micha X. Peled.. 2013. 88 minutes.